The BOG-POD SSA clamps securely to a vehicle window to provide a steady viewing platform. The two way rotating camera head allows you to tilt up and down and pan left and right. The adjustment handle allows the SSA to glide smoothly and can be locked down securely. The accessory plate is 1 5/8" x 2" in size and comes with a standard 1/4"-20 camera screw and a 3/8"-16 adapter screw. The SSA clamp is wide enough to attach to Treestands, in box blind windows and on security bars up to 1" thick. 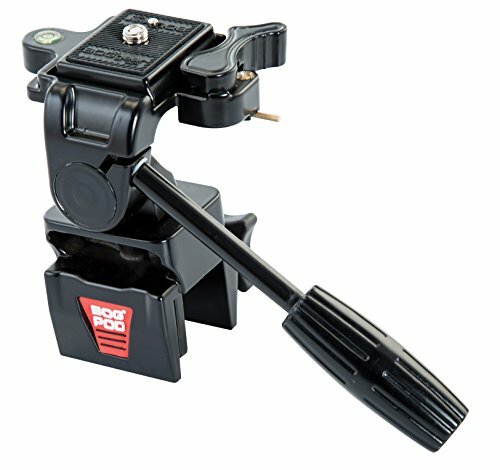 The rotating head has the BOG-POD Switcheroo System incorporated so it can easily be installed to any BOG-POD Tripod.